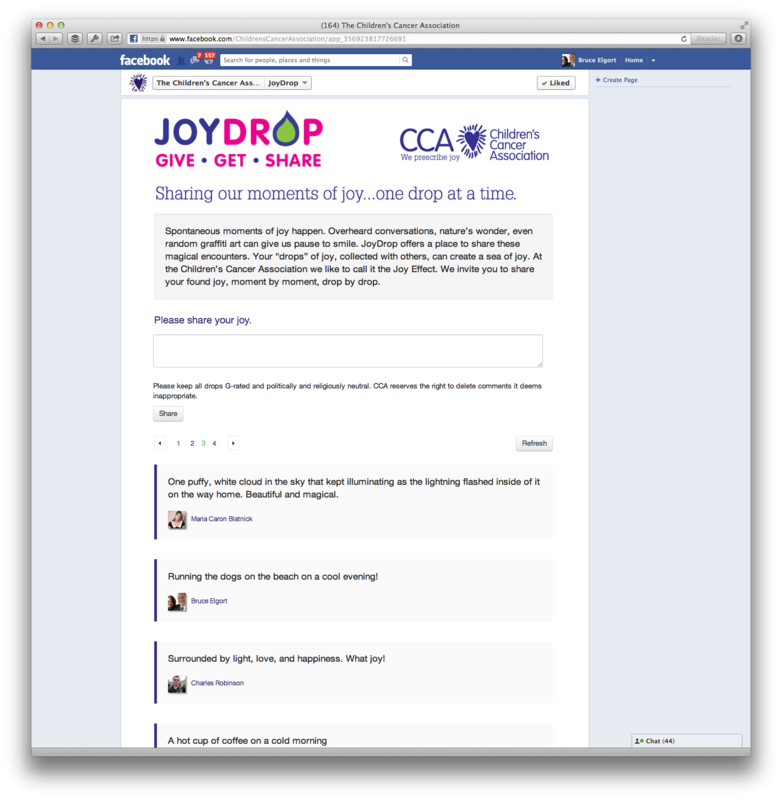 This evening Apple approved the JoyDrop app that I developed for the Children’s Cancer Association. For you geeks out there the iOS app was built with Appcelerator and stores data in an IBM Domino database. There are no more than 400 lines of code for the Appcelerator portion of the app. 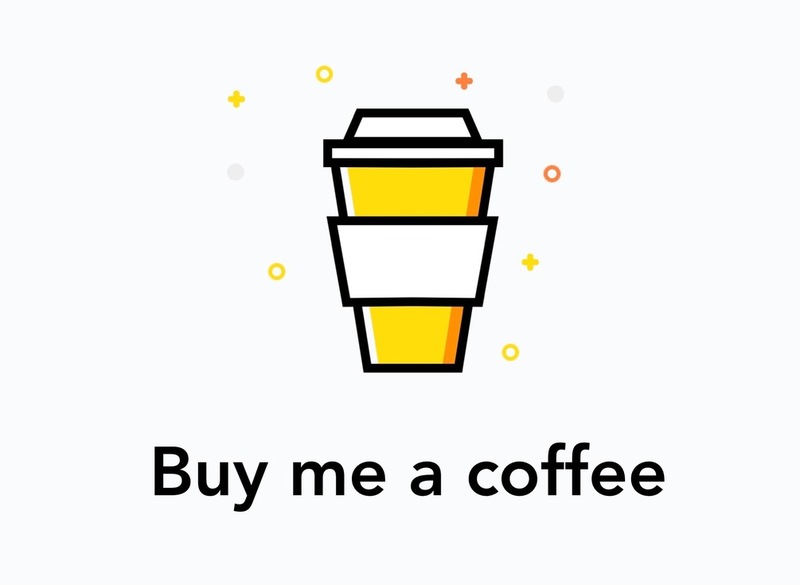 The app utilizes an XPages “XAgent” to post data and a Domino Access Services view to send JSON data back to the app to display JoyDrops. It literally took only minutes to develop the app interfaces in XPages. The Facebook app was built with XPages and the Facebook Graph API. It’s pretty cool how easy it is to utilize the Graph API within XPages. The next version of the app will incorporate photo sharing from the iPhone and some other goodies. After that I will work on getting an Android version of the app developed. A big thanks to my friends Matt White, Jeremy Hodge, Serdar Basegmez, Julian Robichaux, Niklas Heidloff, Mark Hughes, Per Henrik Lausten and Thomas Gumz for their support. Stay tuned for a NotesIn9 video on how this app was put together. This entry was posted in Appcelerator, Apps, Development, iOS, XPages and tagged app, appcelerator, ios, xpages on September 19, 2012 by Bruce Elgort. Who is YouAtNotes and what do they do? The pricing tiers for Domino To Go Cost? Are there any limits to the number of databases you can access from a single app? Be sure to check out the Domino To Go FAQ. This entry was posted in Appcelerator, Development, Mobile, Podcast, Taking Notes Podcast, XPages on June 19, 2012 by Bruce Elgort. Last week I traveled to Washington, DC to participate in the AdminDev2012 conference being sponsored by The View. In addition to delivering two sessions on XPages, I was also part of a keynote panel of “IBM Champions”. All in all the conference was an excellent opportunity to interact with IBM ICS customers. I also had the opportunity to sit in on some great sessions being delivered by the other speakers. The conference was also a blast from the past as there were several people who stopped by the conference to participate in the Washington, DC Lotus User Group. It was great to see Kevin Pettitt, Jack Dausman, David Gursky, Chris Byrne and many others. Here are the slide decks from my sessions. Let me know if you have any questions about them. Julian Robichaux and I were also able to record a podcast with XPages masters Russ Maher and Paul Calhoun. Be sure and check it out. This entry was posted in Appcelerator, Conferences, Development, Mobile, OpenNTF, XPages on May 24, 2012 by Bruce Elgort. The VIEW have announced the AdminDev2012 conference which will be held in Washington, DC on May 16-18, 2012. I will be attending and am presenting two sessions, one on XPages performance and one on mobile development using XPages and the OpenNTF Mobile Controls. The list of sessions and speakers is impressive. Will you be attending? This entry was posted in Appcelerator, Apps, Conferences, Development, iOS, Mobile, OpenNTF, OpenNTF Projects, XPages on February 26, 2012 by Bruce Elgort. On this episode of Taking Notes Julian Robichaux and I talked with Graham Acres, of Brytek Systems, an IBM BP in Canada, about how to develop a strategy around mobilizing your applications in the enterprise. Graham gave a Lotusphere session on this topic, and his slides can be found at the Brytek Systems website. You can also follow him on Twitter at @gacres99. This entry was posted in Appcelerator, Development, Mobile, OpenNTF, Podcast, Taking Notes Podcast, XPages on February 26, 2012 by Bruce Elgort. Welcome to Titanium! from Appcelerator Video Channel on Vimeo. This entry was posted in Appcelerator, Apps, Development, iOS, Videos on January 24, 2012 by Bruce Elgort. Forging Titanium Episode 19: Titanium Studio 1.0.7 from Appcelerator Video Channel on Vimeo.